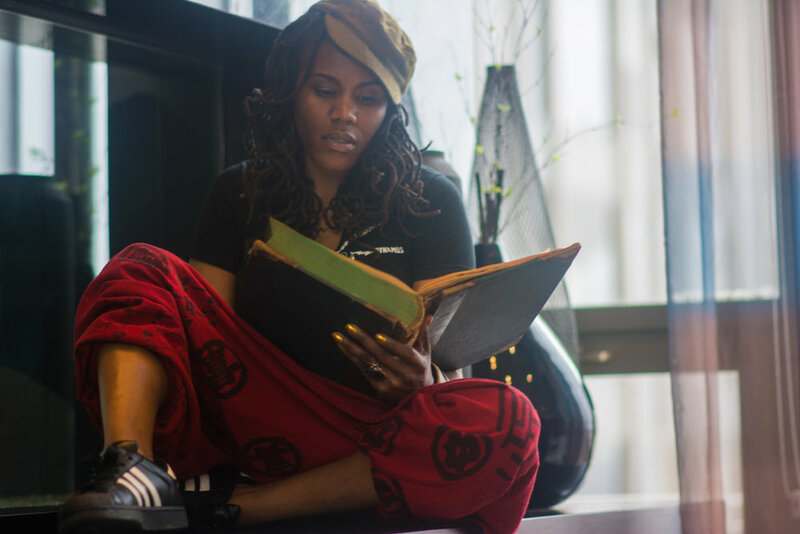 Pacia Elaine is a St. Louis-based written, visual, spoken, and teaching Word Artist that draws from the artistry inherent in language to connect with spirit, to make sense of the world around her, and to tell a good story. Her poetic work is a charismatic blend of rhyme, layered imagery, and fantasy, all of which are used to explore a diversity of subject matter through seemingly disparate concepts, the fusion of which encourages listeners and readers alike to examine the seemingly disparate parts of themselves and co-create visceral, emotive experiences. Her visual work serves as a conduit for moving us to contemplation, and for channeling the infinite possibilities for reshaping ideas, color, space, and the imagination to both remind and affirm the divinity in us all. An unwavering affirmer of the power of spoken word as a conduit for personal transformation, Pacia's goal is to use her work to encourage others to find their voice.